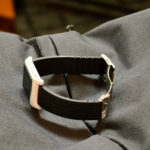 The Hammer strap is a beast of a silicone watch band. 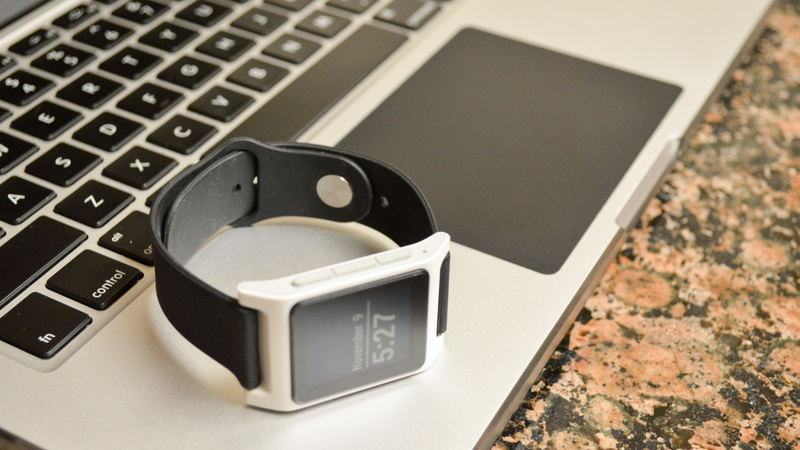 The weight and thickness definitely have a premium feel, especially for a silicone band. 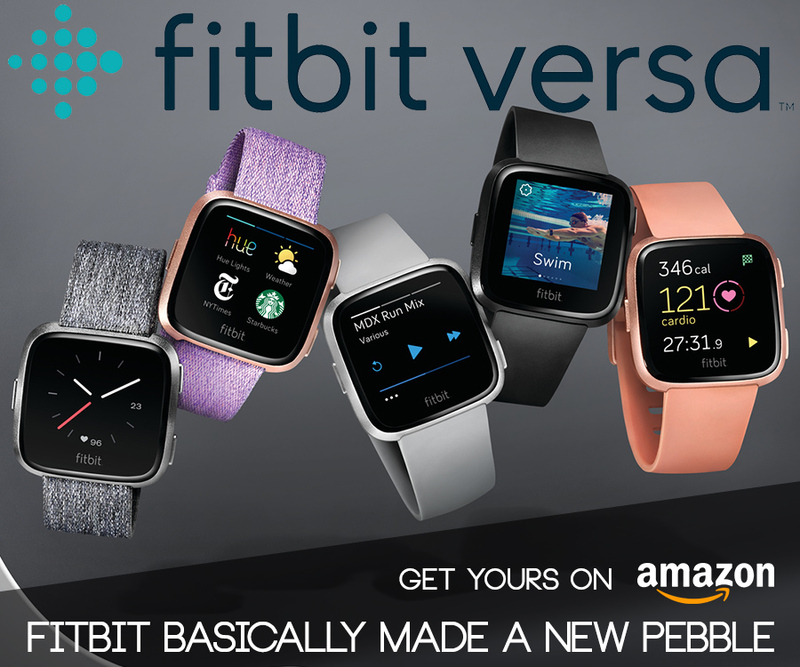 The Hammer is great for those that really want to use the Pebble 2 as a fitness watch. 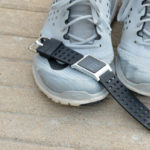 The holes across the length of the strap help the band breathe so sweat doesn’t get trapped underneath. All of the extra holes also ensure a ‘one size for most’ fit for the Hammer. 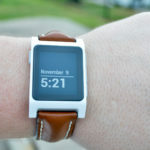 It accentuates the build and style of the Pebble 2 very well because it’s the same width as the body of the watch. 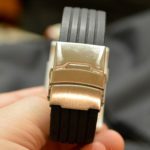 The metal buckle also adds to the premium feel of the watch without adding a ton of extra weight. 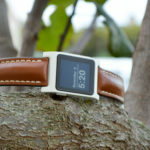 The Apple Watch is another wildly successful smartwatch and we thought it would be interesting to find a watch band for the Pebble 2 that replicates the look and feel of their sport model’s silicone band. 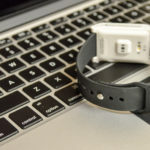 After a lot of internet digging (try searching for Apple band without a million Apple Watch bands popping up), we were able to find a dupe of the Apple Sport band that would work with the Pebble. 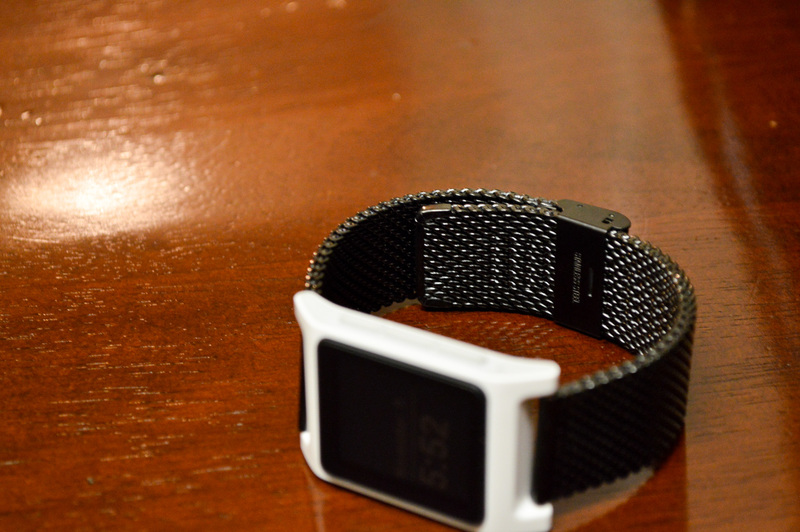 The band is really lightweight and comfortable (although it feels a bit cheap too). We expected a lot lower quality for a band that cost around $6, but we were pleasantly surprised. 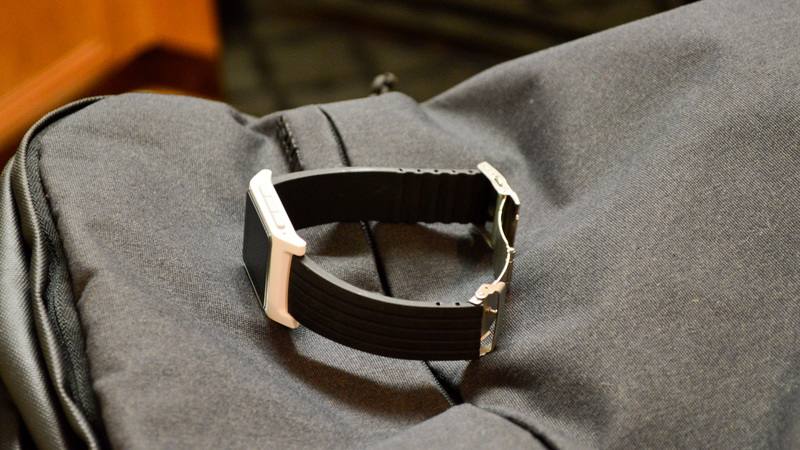 The clasp stayed closed during runs and everyday wear, and the silicone held up while testing it out. Definitely worth the few bucks we spent and it comes in a ton of different colors! Another favorite of ours is the Ritche Silicone band with deployment buckle. It’s less than $10 on Amazon and worth every penny. 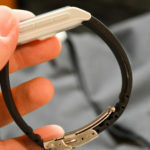 It’s a cut-to-fit silicone band that uses a metal deployment buckle so that you get the perfect fit every time you put on your watch. The clasp was a bit uncomfortable for the first day or so, but eventually I got used to it and I love the band now. Be careful when you go to cut this one – remember: measure twice, cut once! 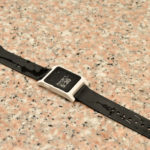 We have reviewed similar bands on the site before for the Pebble Time and Pebble Time Round, so of course we couldn’t leave it out for the Pebble 2. 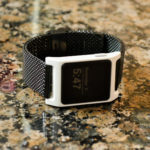 Our thoughts on the Milanese-style band are the same as in previous reviews: it’s a great option if you’re a fan of metal watch bands. 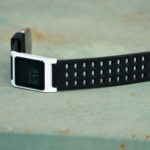 The mesh-style bands look great and they’re lightweight, but not the best option if you’re running or exercising with the Pebble 2. 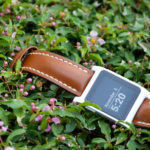 In our initial review of the Pebble 2 I said there wasn’t any dressing up the Pebble 2. 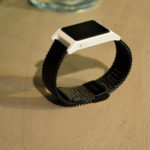 Since I found the Hirsch leather watch bands, I’d like to retract that statement. Hirsch bands are a premium leather watch band available in several different sizes and leathers, and they look great on the Pebble 2. These come in at a higher price than what we normally recommend, but we think they’re well worth the investment. 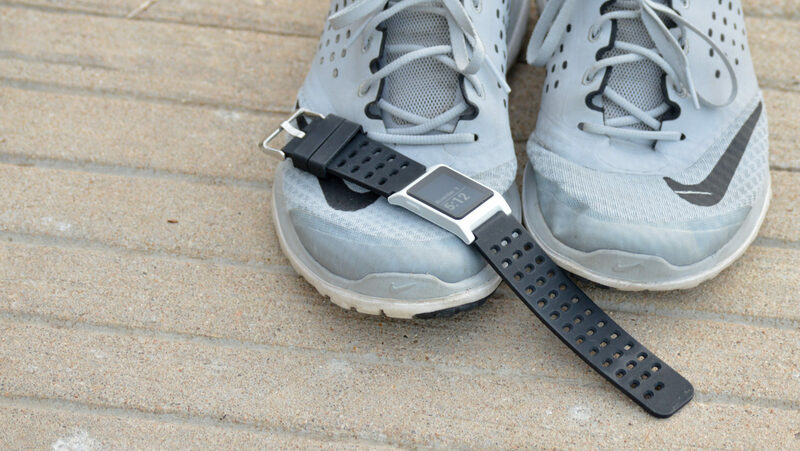 All Hirsch bands are water-resistant, so sweat shouldn’t be a problem if you’re working out with the Pebble 2. You’ll know it’s a premium strap when you put it on. The leather isn’t stiff like the generic $10-$20 leather bands you can find everywhere online. It’s soft and wraps nicely around your wrist. 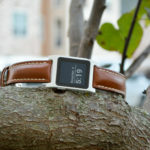 This leather band from Hirsch is one of the most comfortable bands I’ve used with a Pebble Watch! 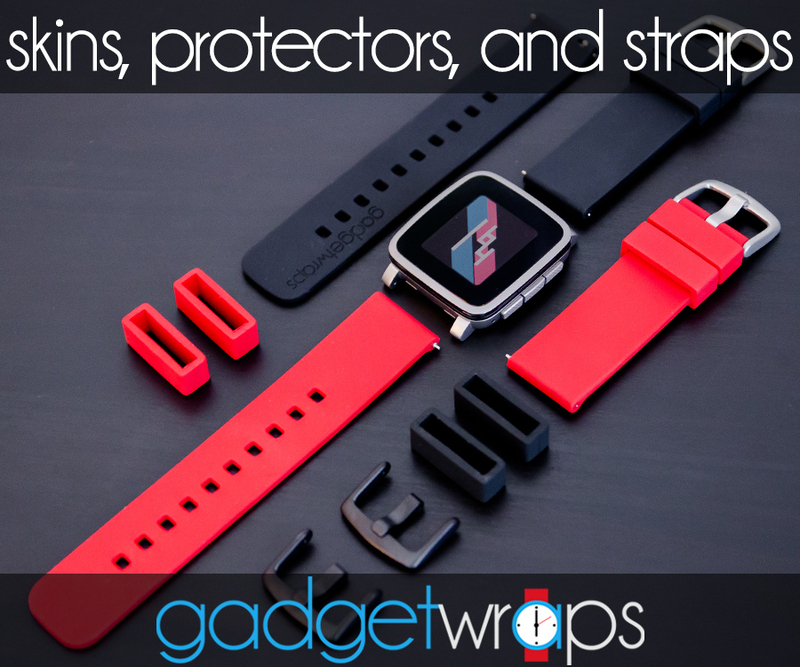 Of course, we couldn’t talk about the best watch bands for the Pebble 2 without mentioning GadgetWraps. 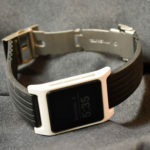 We’ve got reviews coming up for the products that GadgetWraps has available for the Pebble 2, so for now we will just say that they’re a great option if you’re a fan of silicone bands. 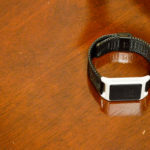 They come in a a ton of colors and they’re a great everyday watch band. 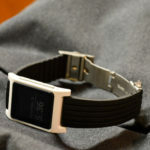 We hope you enjoyed our selection of some of the best watch bands we could find for the Pebble 2. We think there’s a little bit something for everyone with these choices and there are certainly a few budget-friendly options to chose from that we think are great. What do you think of the watch bands we selected? 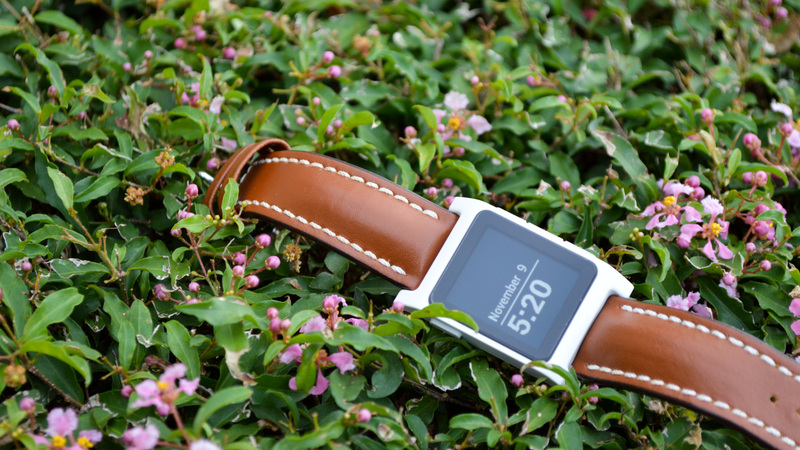 Have you purchased any third-party straps for your new Pebble 2? Let us know in the comment section down below! sorry for that! A while ago we had some problems and some articles got messed up. Obviously we didn’t restore all of them.